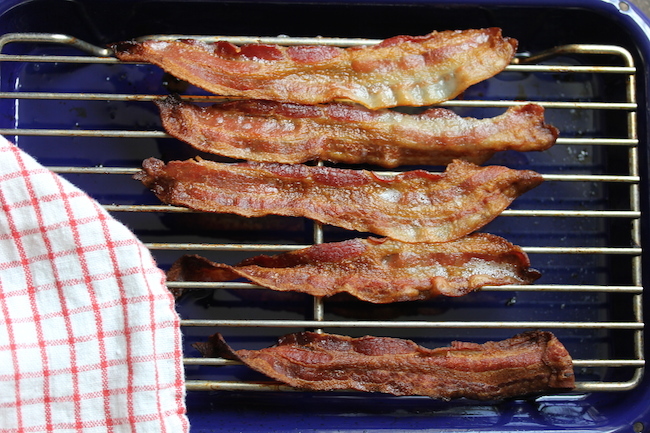 Cook the bacon in the oven at 400 degrees for fifteen minutes. 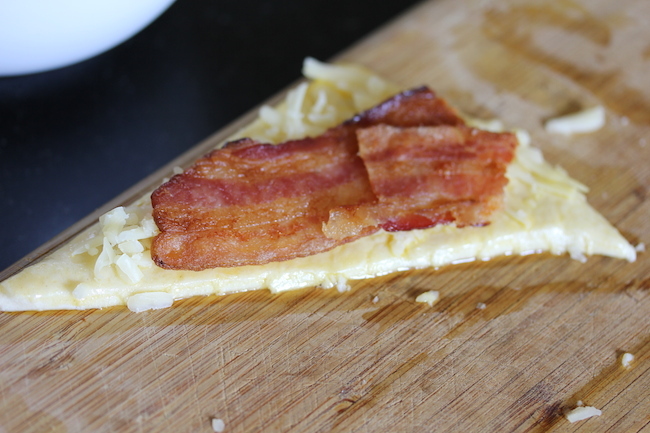 While bacon is cooking, unwrap crescent rolls and brush several coats of the eggwash on to the dough. 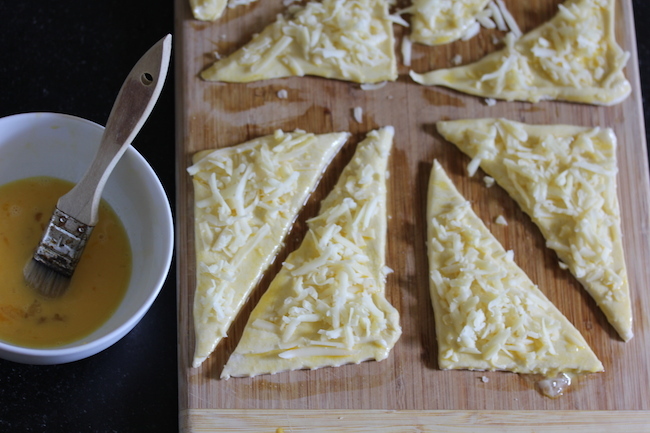 Sprinkle egg-covered dough with cheese. 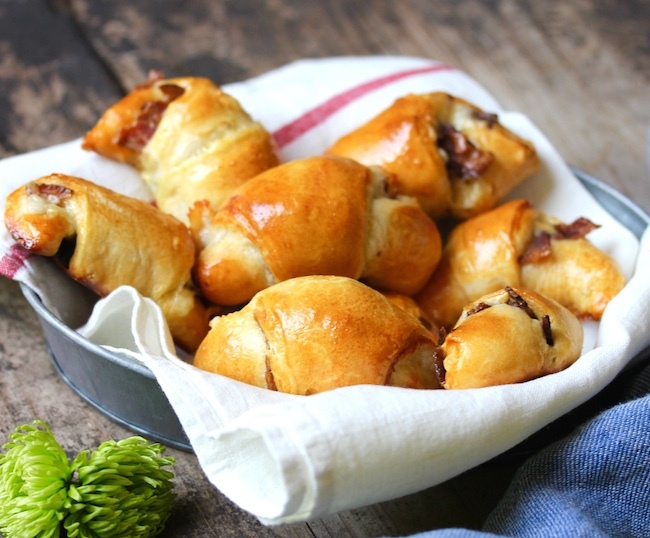 As soon as the bacon is well-cooked, pat dry and working quickly because the bacon will become brittle very fast, place pieces of bacon on top of cheese and roll dough into crescents. 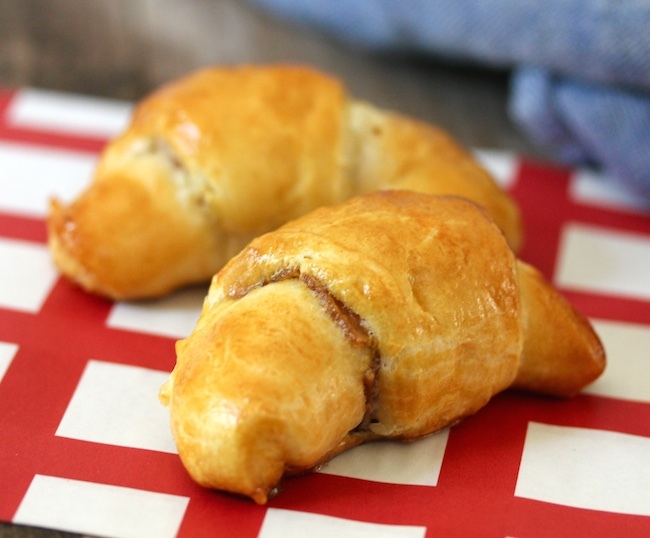 Brush crescents thoroughly with eggwash on the outer side of the dough and place on a Silpat-covered baking sheet. Bake at 350 degrees for 15 minutes or until brown. Serve immediately, or allow to cool, then refrigerate until needed. If you’re refrigerating the rolls, it’s best to warm them in a 350 degree oven for 7 minutes, to keep the dough crisp.